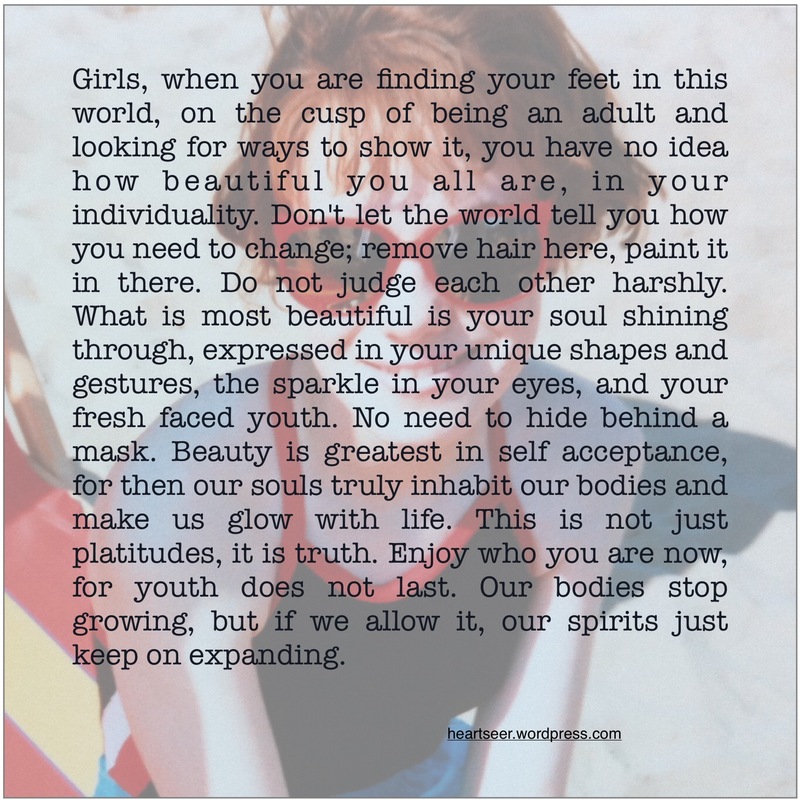 Girls, when you are finding your feet in this world, on the cusp of being an adult and looking for ways to show it, you have no idea how beautiful you all are, in your individuality. Don’t let the world tell you how you need to change; remove hair here, paint it in there. Do not judge each other harshly. What is most beautiful is your soul shining through, expressed in your unique shapes and gestures, the sparkle in your eyes, and your fresh faced youth. No need to hide behind a mask. Beauty is greatest in self acceptance, for then our souls truly inhabit our bodies and make us glow with life. This is not just platitudes, it is truth. Enjoy who you are now, for youth does not last. Our bodies stop growing, but if we allow it, our spirits just keep on expanding.